That red car up there is the 10th Pinewood Derby car my husband has built. When all is said and done, my husband, God-willing, will have built 17 Pinewood Derby Cars in total for our four boys over 11 years. Two of our boys were competing in this year’s event. Here, our youngest one (too young to enter) is peering over the finish line. 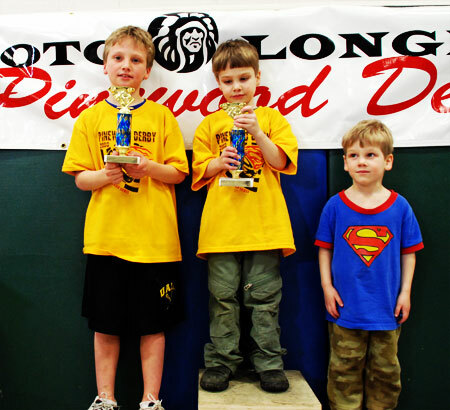 If you have been to a pinewood derby event in your lifetime, you’ll know that the entire atmosphere is overwhelmed with male testosterone. Truly a little boy’s initiation into their first “manly event,” as evidenced here by the appearance of man’s universal “tool,” duct tape. Foam wrapped in duct tape is used to cushion the cars as the pummel into the end of the finish line. There is a table set up on the back wall filled with scales (each car must weigh exactly five ounces — no more, no less) with power drills and lead to give weight to cars that are too light. Here is the wooden podium, which will soon to support the first, second and third place winners for each event. 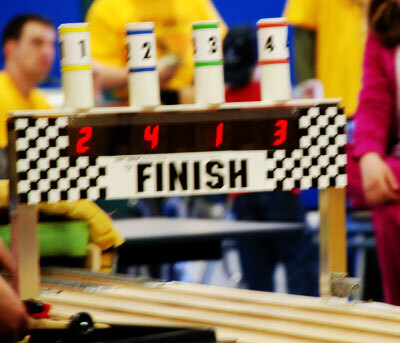 The wooden track is somehow rigged with a sensor that instantly displays on a computer the first place winner for each race. 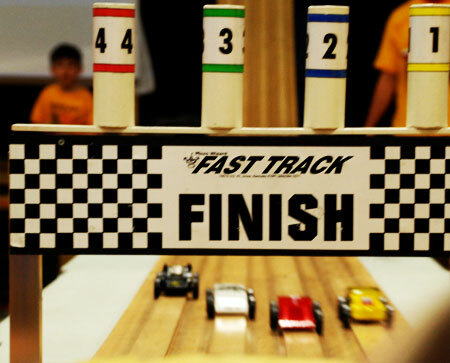 Each car will race several times, switching to a another one of the four lanes, each time, racing different cars within your age group each time. The goal, of course, is to win as many of these trials as you can. 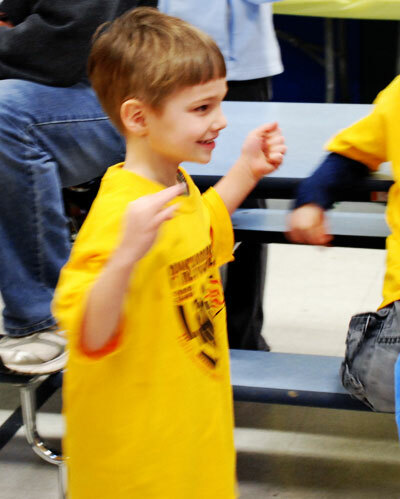 This is how a kindergartner looks when his car wins. Not just one, but each and every one. First place. 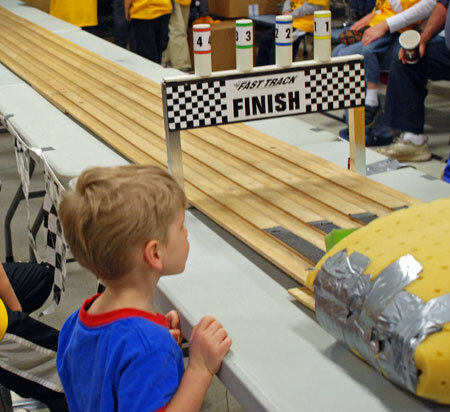 It’s one thing to see the excitement and almost bewilderment on a kindergartner’s face the first time he sees his car actually in a pinewood derby race. It’s quite another to see him win. As the Mom of this middle child, where so much of what he has is handed down, I was pleased to see him have this sweet victory. Here’s his car; the red one, barreling down the finish line. Our third grader was set to race in just a few hours. In those few hours between races, sibling rivalry showed its ugly head. It was difficult for him to accept his kid brother’s victory as a gift — no, I think, impossible. Instead, he felt that as a veteran pinewood derby racer, he should at least be able to beat his kid brother. Irrelevant, to any of them, that the outcome of the race was basically “out of their control.” The real outcome was determined by the design of the car, as compared to the design of the other cars racing that day. And, of course, the track. His car is the green one. Speeding past here, and he too did remarkably well. Soon the jokes started to fly about how my husband, who has built so many pinewood derby cars by now, probably has a “just-in-time” factory set up in the garage, and has the whole manufacturing down to a science. In the end, the big brother came in second place overall. So, remember that podium up at the top? This is how we filled it… and number three went to our littlest one, who has yet to compete in his first. And where’s our oldest? With his own pinewood derby cars in his past, he’s now too cool for this stuff now. love that first shot; the perspective is great! great story to accompany it, too! Okay, I may be a female, but that is WAY TOO COOL!! What a process! Love that last picture and how it speaks volumes. Oh love it! We must learn how to do this too! It looks awesome and so much fun! How fun, and exciting to be a winner! I’ll have to send my hubby a link to this post, as this would be something fun for him to consider doing with my son. what a great thing for your boys to experience with their Dad. i love the series, but the last photo is great! what a great series of pictures! congrats to the winners! 🙂 i remember when my brother did the pinewood derby thing oh so many years ago. I can feel the excitement! I remember my brother doing pine car derby. 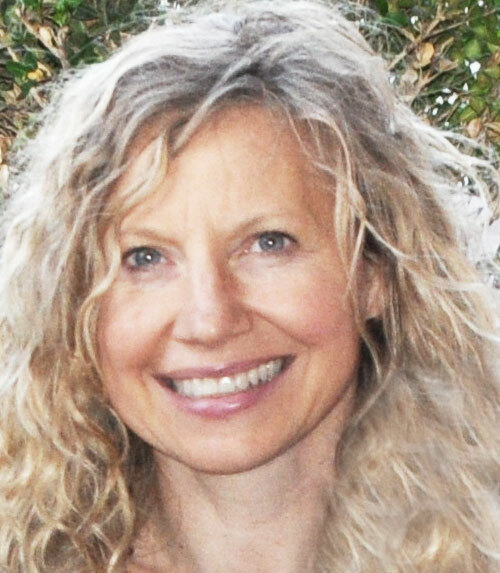 You are such a GREAT storyteller…what VERY cool shots and such a fun thing for kids to do. I am the youngest with two older brothers (we are all grown ups now) but I am completely wondering why they did not do anything as cool as that! Your boys are so blessed to have such an acitve dad, and obviously talented too! Those shots are so cool, and they tell such a great story! 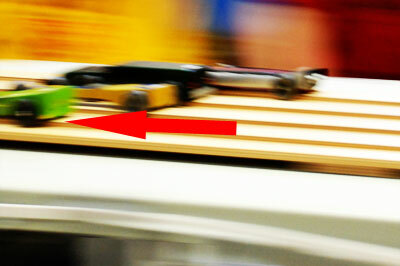 I have to admit, I have always been really curious about the whole pinewood derby thing — and now I have my answers! Thanks! My boys, My Better Half and my 8 year old, did the pinewood derby last year. And after only taking fourth place over all, I think they were too ashamed to give it another try. But the car looked really, really impressive even though it was slow as nails. Congrats to your pit crew. Looking good. That’s pretty cool that they have an activity like that with dad, let alone that they did so well. That’s awesome! and looks like so much fun! Congrats to your boys! Looks like they had a fantastic time! I’ve never been involved with this, but I have a story anyway. A friend said that his son told him that he did not want to participate in this, so he did nothing — until the day before, when the son changed his mind. My friend clobbered together something that looked like a car, but the wheels didn’t all touch at the same time. Nevertheless — it won, and the other fathers gathered round to try to figure out what the secret of this odd-looking thing was. My friend said, with a straight face, that he’d realized that having four wheels touching at the same time added more drag without adding to speed, so he’d carefully built the car so that only three wheels would be touching at any time — and would shift from one three wheel set to another as it went around curves, thus maximizing the effect. The other fathers all walked away looking quite thoughtful…..
We’re big into scouts here, too. 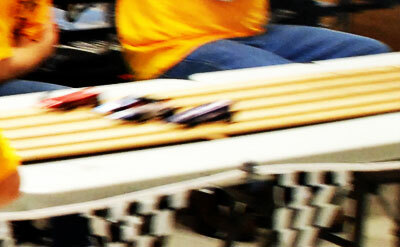 Our pinewood derby was back in January and it was, as always, tons of fun. The thing that always cracks me up about them is the inverse level of quality. The Tigers always have the best looking cars, and as you go up the ranks, the quality actually decreases until you get to Bear, then the Webelos start to improve on it. It all comes from how much work Dad has to do on it.